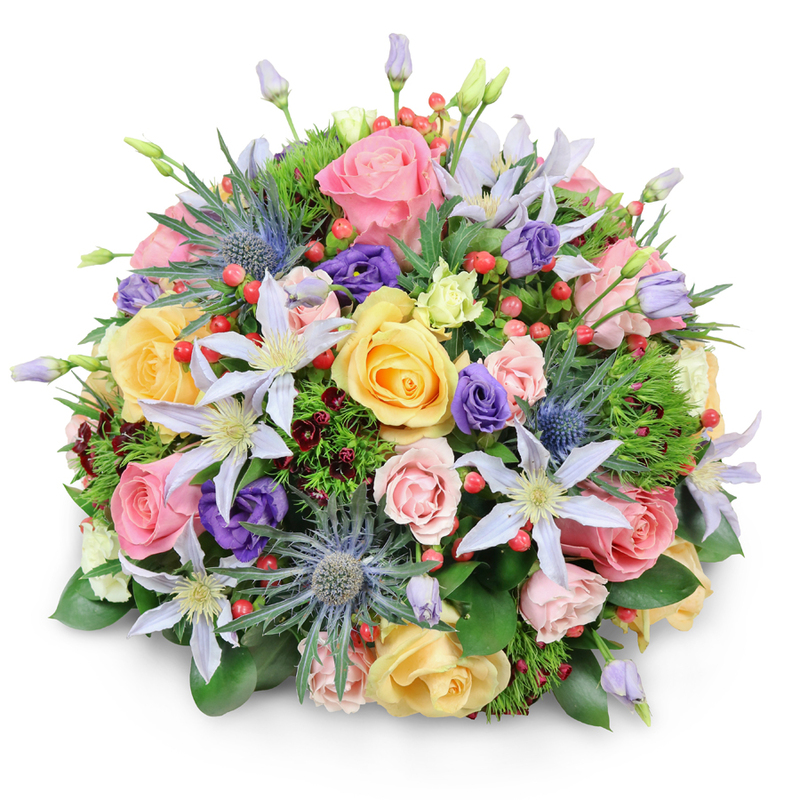 Honour a loved one at their service and show your deepest sympathy with a beautiful posy made from pink and yellow roses, purple lisianthus, clematis, eryngium and delicately finished with red hypericum and dianthus. I was initially attracted by the fair prices but was surprised to find beautiful funeral posies and high quality customer service. It made things much easier during our moment of grief. I have to admit, I was nervous because I didn`t know what to expect, but the flowers looked even better than the website photos. Thank you for the proper service. Ordered a personalized posy with my dad's favorite flowers and the florists did an impeccable job! I've ordered regular bouquets from this florist before and I ended up very satisfied with the arrangements. That is why when I needed to organize the flowers for my friend's funeral, Handy Flowers was the first company I turned to. They responded friendly as always and delivered beautiful tributes. Good experience. Will use again. I want to say big THANK YOU to the amazing team and the most professional florists! All of the arrangements that we ordered were delivered fresh. Remarkable funeral flowers. The response I got from my family at the funeral was lovely.